3M Small Wire Hooks 3 pack can hang it all and save the wall! 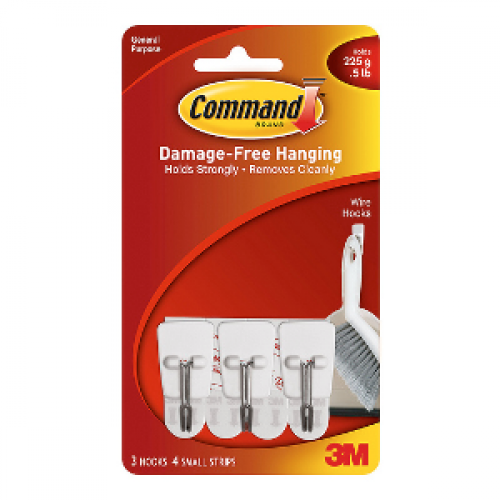 3M wire hook products hold on strongly and come off cleanly. Works great on painted surfaces, metal, wood, and tiles. Perfect for decorating and organizing closets, kitchens, laundry rooms, mud rooms, kids' rooms, bathrooms, offices, dorm rooms and lockers Holds up to 1/2 lb. Holds on Strongly, comes off cleanly.